Pomfrets are not currently targeted by any commercial fishery but are taken as bycatch in Hawaiian and South Pacific longline fisheries. Pomfrets are distributed widely in the world’s oceans, but relatively little is known about their biology and ecology, leaving the growth rate, age at maturity, and life span unknown. It has been established that they have a high fecundity, due to gonad size. 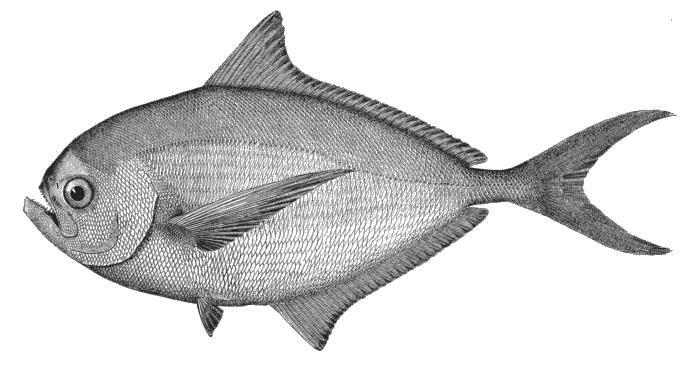 Overall, the resilience of the species to fishing pressure is unknown. Currently the population status is unknown, but constant trends in catch per unit effort (CPUE) suggest a stable population. There is no specific management plan for Pomfrets, instead they are managed under the US Pelagics Fishery Management Plan (PFMP) since 1987. The Plan uses limited entry permits, gear modifications, and time-area closures to reduce impacts on endangered marine mammal species. Bycatch in longline fisheries is very high. There are many interactions between longlines and endangered and protected sea turtles, sea birds and marine mammals. Currently, there are quotas for the number of interactions allowed with protected marine animals, where fisheries will be closed once the quota is reached in order to protect these endangered species. Observer programs are implemented on 20% of longline operations to reduce interactions with sea turtles, seabirds, and marine mammals. Longlines are used to catch this pelagic species, and thus have little contact and damage to the benthic habitat. Oops! No results found based on the filters selected above. Try different options or click the "Clear All" button above to reset the filters. If you want to review a different type of seafood, browse the A-Z list.